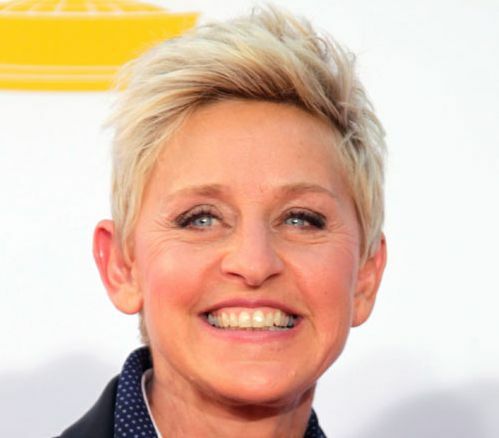 Ellen Degeneres’s blonde hair is cut in a short, pixie hairstyle. 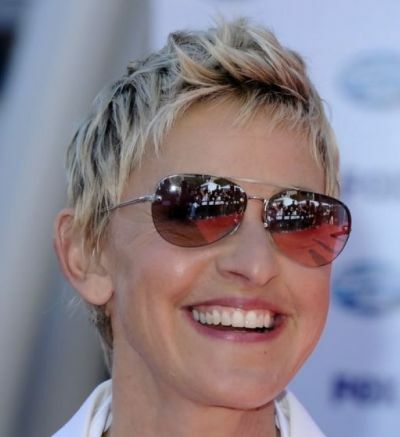 Waves are create..
Ellen Degeneres’s blonde hair is cut in a short, pixie hairstyle. Waves are created with hair product in this chic, mature hairstyle.